Cobras were sacred to the ancient Egyptians, and Cleopatra was especially fond of them. The image of a snake was part of the Pharaoh's royal crown. So this 19" Gold Snake Necklace is a richly authentic finishing touch to any Egyptian costume. Add this 25-inch Long Beard & Mustache Set to your costume and fire up your moonshine still. Or invent a new kind of duck call. Or just dispense hillbilly wisdom while smoking your corncob pipe.. When you're fighting in hand to hand combat, one of the greatest things you could have is a shield. Someone swings a huge sword at you, BAM, hits the shield. You survive another day. Now, the shield is less useful in regular life. You could use it to hold your pizza, or maybe throw it like some kind of frisbee... but this shield will look great with your Halloween costume and you don't need to worry about what else to do with it, but we won't lie: it makes a pretty great frisbee. THIS IS SPARTA! Okay, so maybe we're a long ways away from ancient Sparta and Xerxes is a threat of the past, but having a trusty sword by your side is still a good idea at a costume party. You never know when you'll feel the need to wave it at your enemies in a threatening manner! This toy one is modeled after the Greek sword wielded by Themistokles in 300: Rise of an Empire. It won't cleanly slash apart your enemies like a real sword, but it will still scare the pants off of any enemy you come across on the battlefield. You'll be the knight that no one can forget, even if they tried! 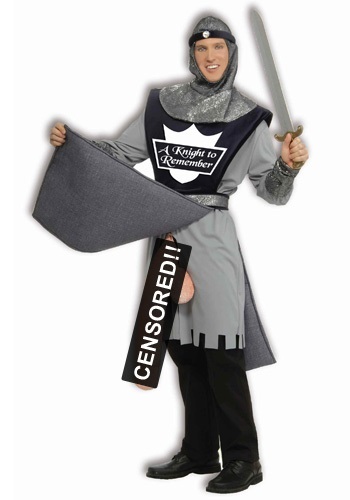 This exhibtionist knight loves showing off his favorite appendage- he's not shy about it one bit. Show off your uh...sword to all the fair maidens at the party. Hey, I'm sure one of them won't shriek with horror and might even invite you into her castle! Pick up a shield to really look dashing. Find yourself dodging swords to the head? 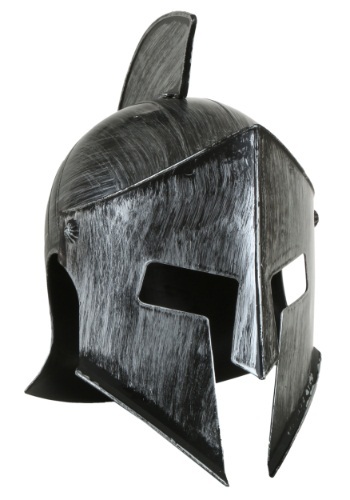 You need this Adult Adjustable Gladiator Helmet to keep you safe. Now crave the battlefield young warrior! A helmet for any size head. 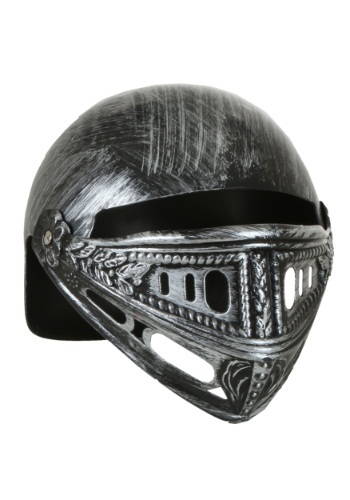 Brave your next upcoming battle while wearing this Adult Adjustable Knight Helmet. The face mask can move up and down and you can easily see out of it. 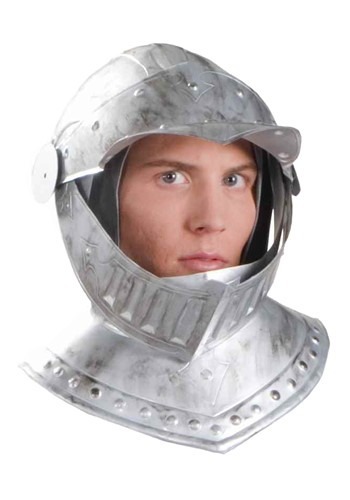 This helmet goes with any knight costume. Roman gladiators, Etruscan warriors, Greek soldiers, they all needed one key piece of attire before they stormed the battlefield. They needed a helmet, to protect their dome of course. 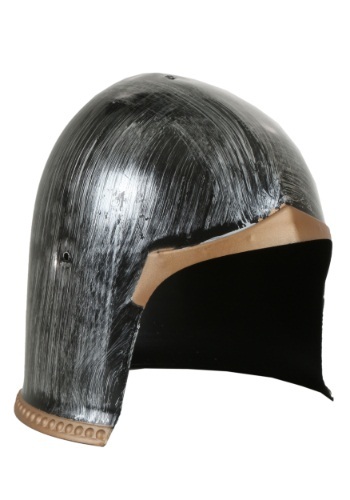 Use this Adult Adjustable Roman Helmet before you charge onto the battlefield. If you're going all out for your masquerade party, make sure that you have an elegant mask to match your outfit. This Venetian Mask On A Stick will look great with any tuxedo or gown to let you stand out at your masquerade party! When Cleopatra tried to bring down the Roman empire, she ended up bringing down her own instead--but she looked good doing it, especially wearing a gown like this Adult Black and Teal Cleopatra Costume! Complete your sultry look with gold sandals, a wig and makeup. Oh, and you'll need a snake, too, for the death scene. Rejoice, the Black Knight has arrived! He rode in on his black steed, and is ready to avenge the King's murder and restore peace to the kingdom. Wait—what's this you say? The Black Knight is actually a bad guy? 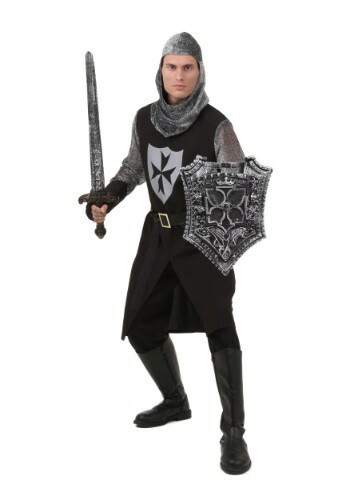 Oh goodness... Well, with this costume, you can be a valiant knight with a penchant for dark tunics, or you can be the archetypal villain of any medieval classic. The choice will be yours with this look! Just make sure to practice your swordplay. It won't matter what colors you're wearing if you can't back up your bravado on the battlefield. 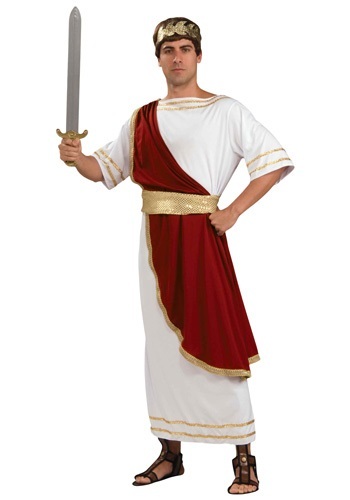 Start the party off the right way when you wear this Adult Caesar Costume. 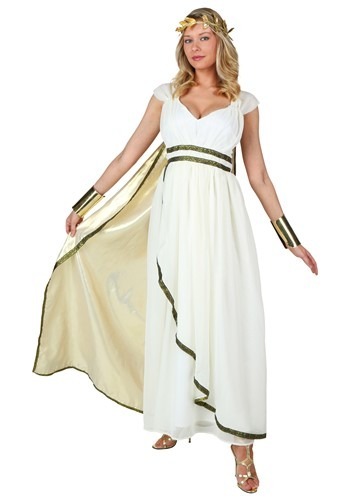 It' great for a Roman-inspired costume or toga party! Get your date to dress as Cleopatra and you'll have a historically accurate couples' costume. Add a pair of Roman-style sandals to complete the look. 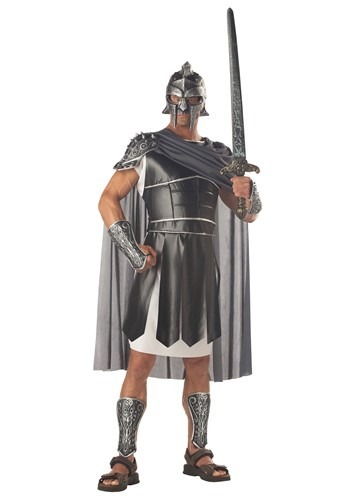 Transform into an unbeatable warrior in this Adult Centurion Costume! The molded vinyl armor is painted to look like it's battle-worn. 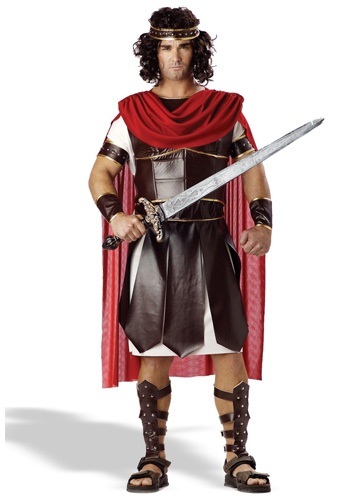 Complete your warlike appearance by adding Roman-style sandals and a sword and shield, and you'll conquer your lady's heart! Did you know that Cleopatra came to the throne at the age of 18? After years of living in luxury, it's no wonder she had such high standards. 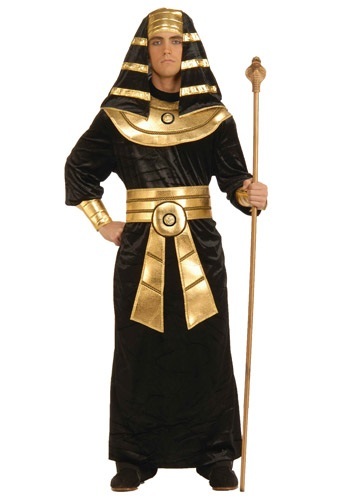 Live out your Halloween night in complete luxury as the great queen of the Nile in this Adult Cleopatra Costume. Want to be a Greek Goddess? There's a few things you should know. First of all, Zeus will probably try to hit on you, so make sure to only go to parties where Hera's going to be in attendance. Second, never enter a beauty contest with Paris as the judge. Third, you'd better be wearing this divine Adult Coral Goddess Costume if you want to fit in with the rest of the gods on Olympus! It is said in ancient mythology that certain objects are protected by a one-eyed monster known as the Cyclops. This creature makes up for his lack of vision with his extreme strength. Now you can scare away anyone who tries to claim your prized possessions when you wear this scary Adult Cyclops Costume. Being the ruler of the Egyptian kingdom, the first thing you'll find out is that hanging onto power is a daunting task. 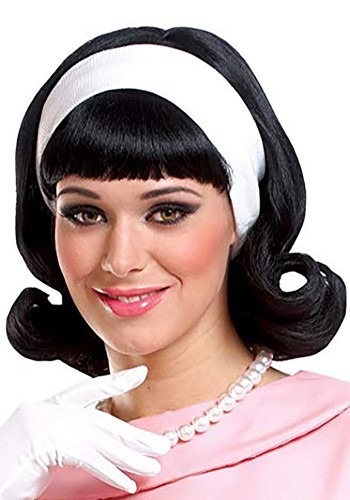 You'll have enough on your plate without worrying if you hair looks amazing, so wear this deluxe Cleopatra wig instead. It's already cut and colored to provide the perfect look for the Queen of the Nile. There's something about feathers that scream, 'look at me!' Now all eyes will be on you when you charge into battle. Will that be a good thing or a bad thing? You'll have to let us know. 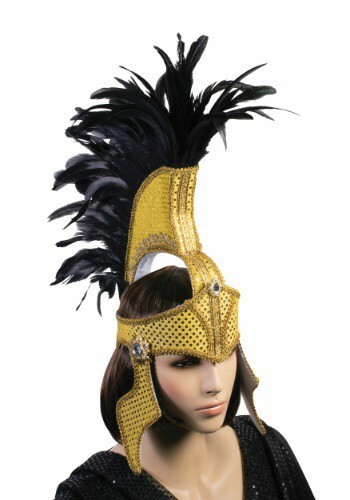 You'll sparkle in this Adult Deluxe Gold Fabric Gladiator Helmet. The gods will have to notice you. Every girl wants a knight in shining armor, but do you know how hard it is to get knighted these days? Sure, for guys like Ian McKellen it looks easy, but the average guy just doesn't have a shot. That shouldn't stop you from wearing the armor and running to the rescue! 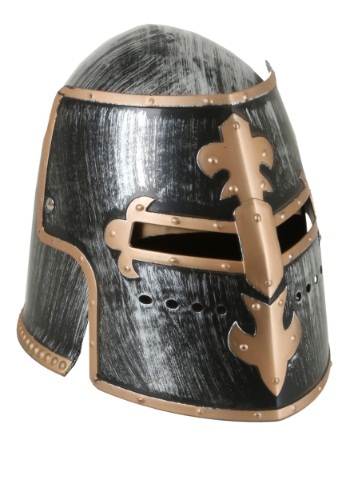 This Adult Deluxe Knight Helmet is an affordable alternative that any man trying to become a Renaissance hero can afford. To battle! If you're secretly worried about being attacked by crazy Germanic barbarian tribes, then it may be time to invest in this Roman style helmet. It's not built for actual combat, but you can be sure that those barbarians won't be able to tell the difference. It may just scare a few of those brutes away! 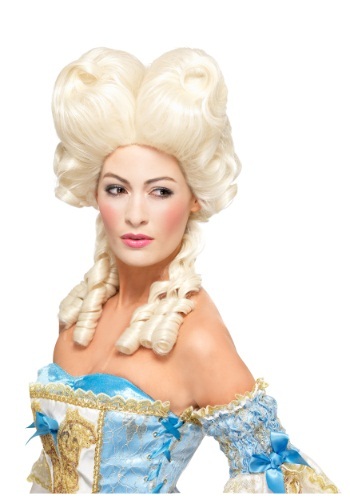 Become a picture of beauty and grace in this exclusive Deluxe Southern Belle Costume. It features all of the trimmings you'd expect to see in this romantic nod to the past so that you can be stunning at all of the future engagements you choose to wear it to! Look like you just stepped out of the golden age when you wear this beautiful gold-trimmed gown. 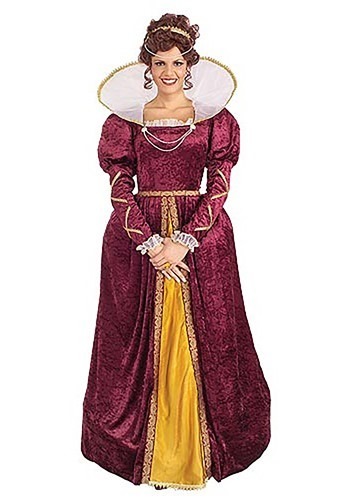 This Adult Elizabethan Costume will make you look like you are under the rule of Queen Elizabeth I. It's ideal for a Renaissance Festival. Long live the Queen! 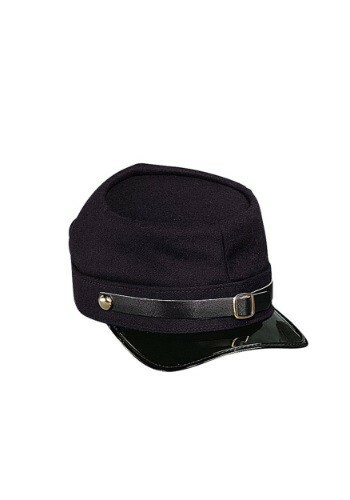 It's been a tough winter at Valley Forge, but soon this revolution will be over. You'll be able to get back to Mount Vernon and spend some time chillin to the max. That is, until your friends come back and ask you to do this whole 'President' thing. 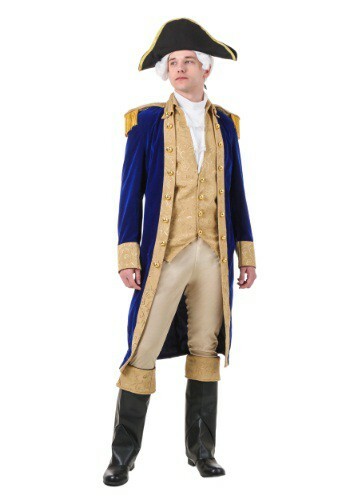 Suit up with this classic George Washington costume look to portray the iconic American hero. 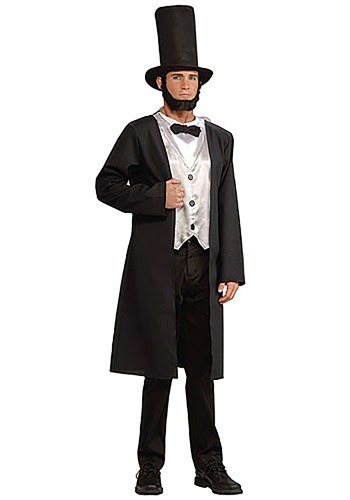 It'll be perfect for historical reenactments, plays, or for any night of costumed fun! Yea, it's pretty safe to say that Mr. Washington has a very impressive resume. 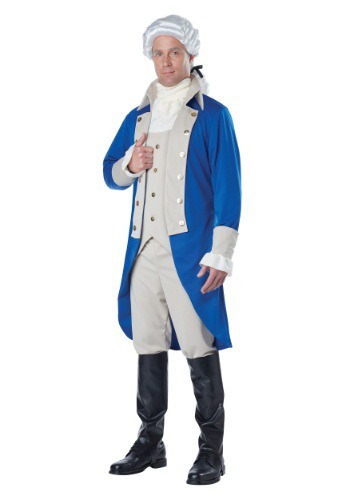 He fought in the American Revolutionary War and he was also one of the Founding Fathers of the United States. He also crossed the Delaware river in the dead of winter and defeated the British. Are you not impressed yet?! Well, you might be shocked to know that Georgie W. was also a pretty big party animal. Sure he took care of stuff during the day, but once nighttime rolled around, he liked to take off his white wig and have a wild time. You can choose to party like George or use it to recreate more historical events. Whatever you choose, please be sure to take lots of pictures. It's not everyday that you see the first President of the United States partying like a college kid! Now you can be a knight...not in shining armor, but crocheted wool and that's even cooler AND warmer! 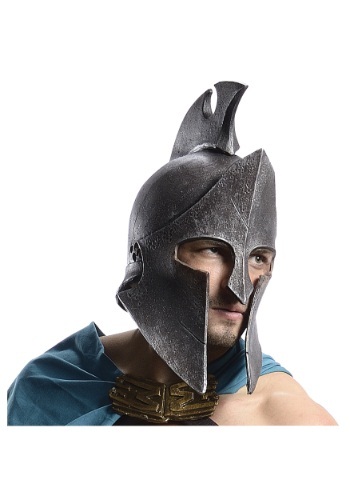 This Gladiator Helmet Hat is perfect for guys who are always trying to chanel that roman gladiator look. The mouthpiece is movable and detachable! Do you wish you could have lived in an age of legend and myth? Well, we don't have a time machine to take you there, but if you wear this Adult Goddess Costume you can at least feel the spirit of that age. 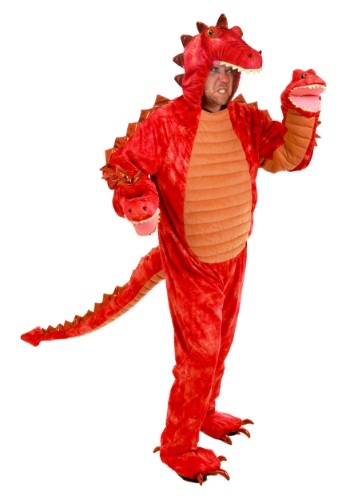 And if you pair it with any of our other mythic creature costumes you can recreate scenes from mythology. Most people aren't born with goddess good looks, but with a little help from these shoes any woman can be on her way to having parties on Mt. Olympus. Watch out for Zeus, though. If he sees you wearing these, that lecherous old guy will be hitting on you all night long. 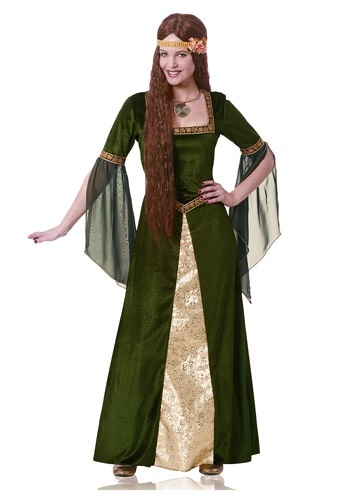 Look like a medieval noblewoman in this Adult Green Renaissance Lady Costume, and prepare for a feast! 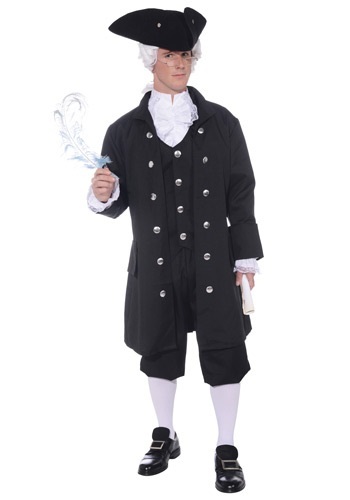 This rich-looking dress is great for Halloween or a historic theme party.No actual European feast would have included turkey until the late 1500s--the very end of the Renaissance. Turkeys are native to North America and weren't known in Europe until returning explorers brought them along. The first printed reference to turkeys in England was in 1573. 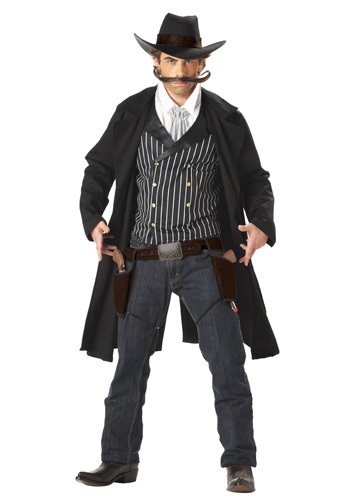 There's a new sheriff in town and that sheriff is you in this Adult Gunfighter Western Costume! It includes a vest, dickey, coat, hat, and holsters. Wear it with your own jeans or black pants, or buy our black costume pants. Then add a belt and western-style buckle and a pair of toy six-shooters (sold separately) and you can enforce the law west of the Pecos! 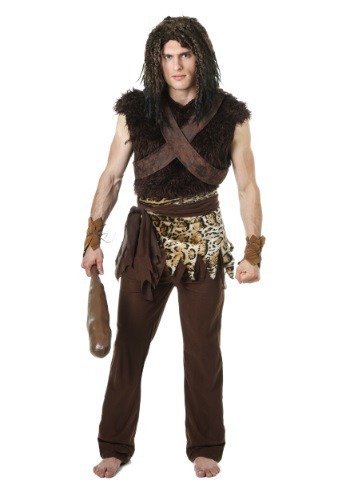 Get the strength of the gods in this masculine Adult Hercules Costume! Finish it with Roman-style sandals and a sword and shield. 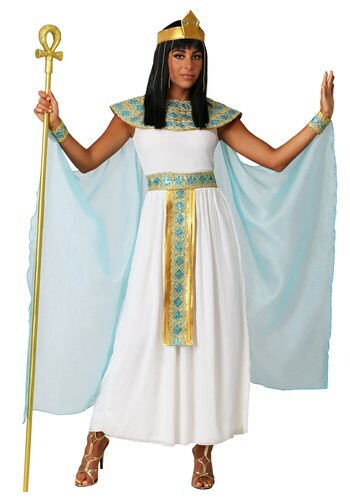 Pair this costume with any of our women's ancient goddess costumes for a theme or Halloween party! Who needs one head when you can have three? You can eat your foes in a third of the time when you have extra teeth chomping them up! 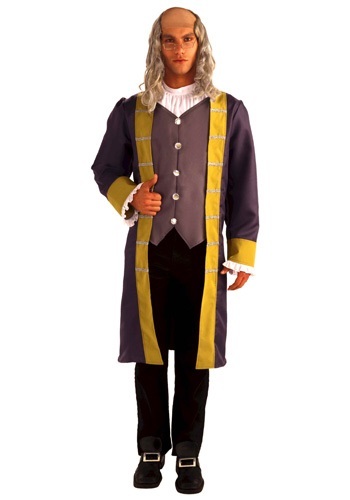 We reckon most folks will shy away from you in this costume, so you'll have to win them over with your charm. You can prove to them that despite your mythological reputation, you're a pretty fun monster to hang out with! Looking elegant is always a must! When attending a masquerade, you want to look mysterious of course, but you also want to look polished. 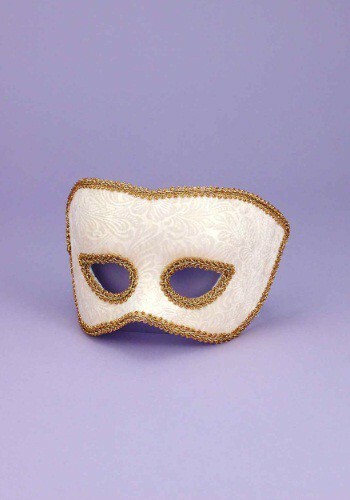 This Adult Karneval Beige Mask is a stylish unisex mask. It would look stylish with a black suit and tie or chic with a floor length ball gown. Add gold jewelry to accentuate the mask! Being mysterious is powerful. You can lurk in the corner sipping your cocktail, and no one will know who you are if you wear this Lacy Silver Half Mask. The black lace makes for an elegant look and we highly recommend that you wear it to your next masquerade.